Last summer, my friend told me that every time her son said he was bored, she would give him a baby wipe and pick a room of the house and have him dust all the baseboards in that room! It didn’t take him too long to find something else to do and stop telling his mom he was bored! 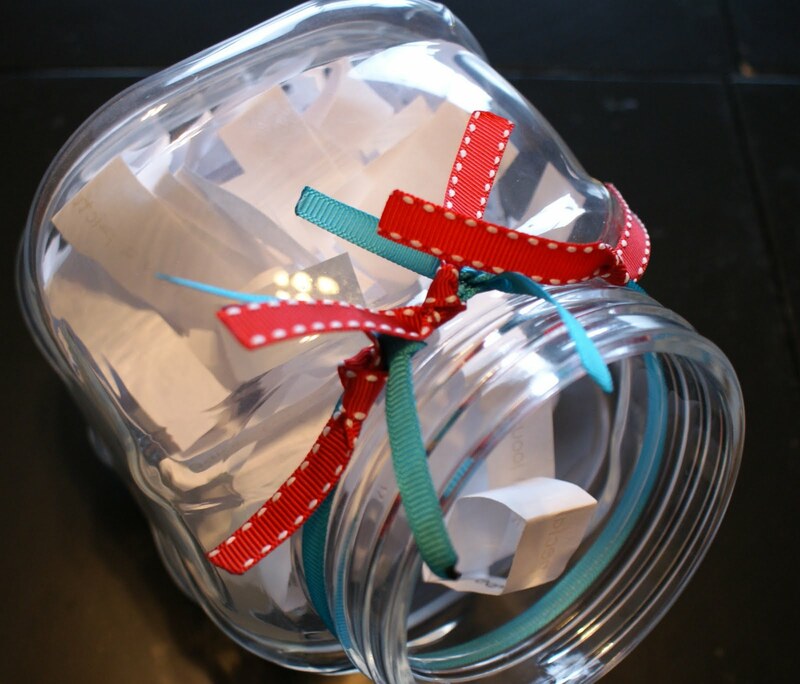 • I simply took a plain cookie jar- you could even recycle something from a spaghetti sauce jar or something you already have. • Lastly, I added this image to the top of the lid. The perfect Summer Boredom Buster! For more great ideas please visit Somewhat Simple. You also don’t want to miss Steph’s new blog, Crazy Domestic! Find all the kid’s crafts in the craft camp series by clicking on the Craft Camp button on my left sidebar. Thanks a lot for being my own teacher on this niche. the way in which you handled the areas I widely known as controversial. me and assist me in my life. Thank you. Love this idea! While it's perfect for the summer months, I think this would be great ALL year long! Fantastic idea!!!! Perfect for the summer months, but I think this would be great all year round! Hmmm... I need to start thinking up chores AND fun stuff to add. I love, love this idea! Thank you for sharing! This is a great idea! 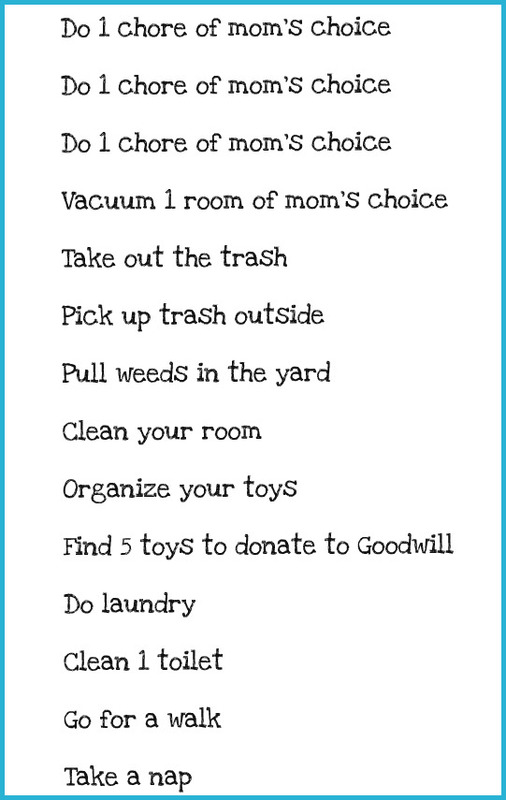 I love that you included such a wide variety of activities...including some "around the house" chores. I originally came to this post because it was linked to over at Habits for a Happy Home. 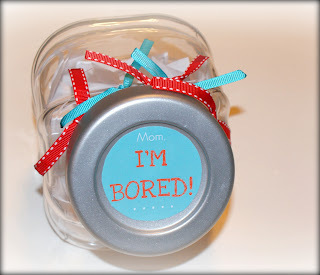 I especially appreciated Kendra's "rule" for her family's jar: http://habitsforahappyhome.wordpress.com/2010/07/12/im-bored/. 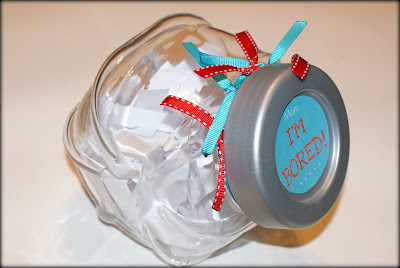 What a GREAT idea and while we don't allow the phrase "I'm bored" to be used in our house, the feeling certainly shows up and I think I'm going to have to make one of these for the kids. Wow, what a great idea! I'm sharing this with all my mommy friends! Wow, I love the idea!!!! I'm going to prepare it all through the week, on recycled paper. You inspired me to blog about my Summer List, so I included your Mom I'm Bored Jar at the bottom with a link back. Would love to have you stop by since you provided the inspiration! This is great! Especially with the printable ideas! I am featuring this at somedaycrafts.blogspot.com. Love this, definitely going to have to do this! :) Thanks for the great idea! 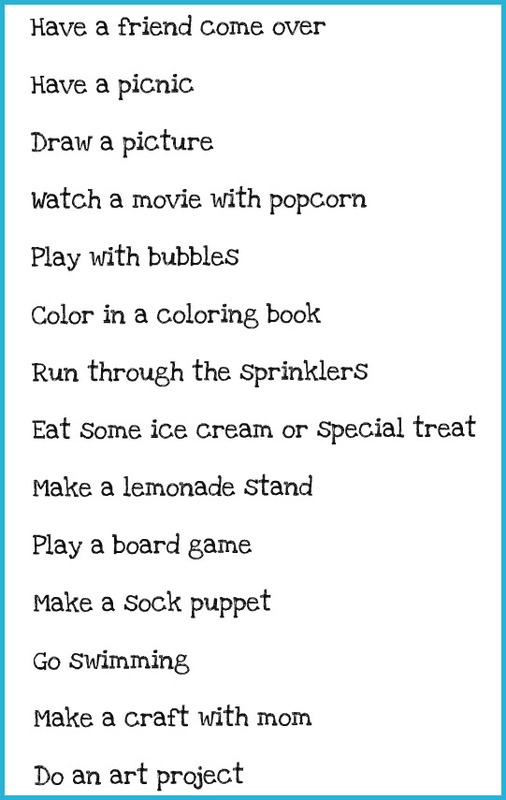 I keep a list of activities to do each week with my kids for when they seem to be entering into the cranky, unmotivated area. 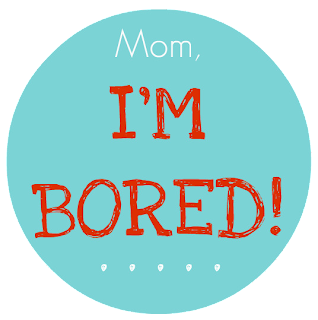 Hey growing up my siblings and I always knew never to say I'm bored to my mom. It always meant doing chores. Though I think this is a really good idea. I'm hearing this already, and school's not even out until tomorrow! Printing the activities now! I think I'll make the jar while I'm finishing up our teacher gifts this afternoon! Great idea....... and I love the jar too, it's pretty. Thank You! Thank You! Thank You! .... great idea!!! This is the best idea everrrrr! 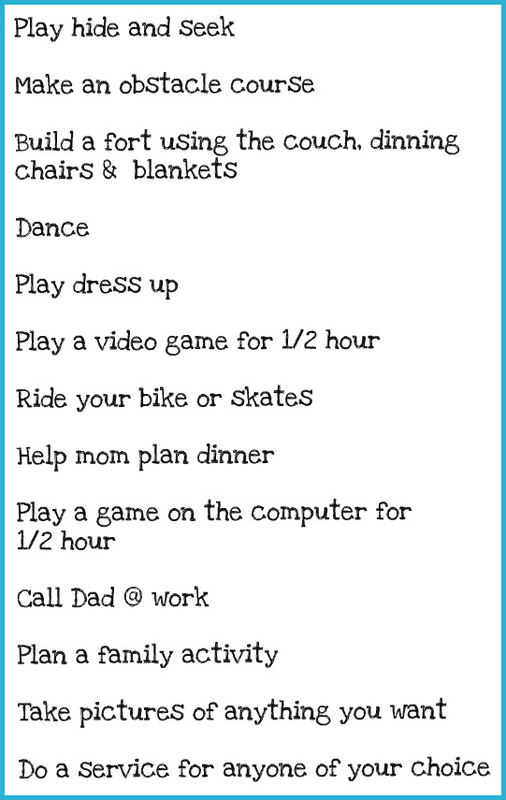 I have been struggling to figure out how I can balance activities with managing the house and this is just perfect. My girls are young but I can totally make this age appropriate. But this gets my wheels turning! I am so excited about it and I give you a humungo thanks for it! You have no idea how timely this was for me! Big Hugs! Love it! Will probably change a few. My kids are reading through it right now! I am so doing this!!! Even after summer is over this will be great! My kids constantly say "I'm bored" or "I don't know what to do" so this is perfect. 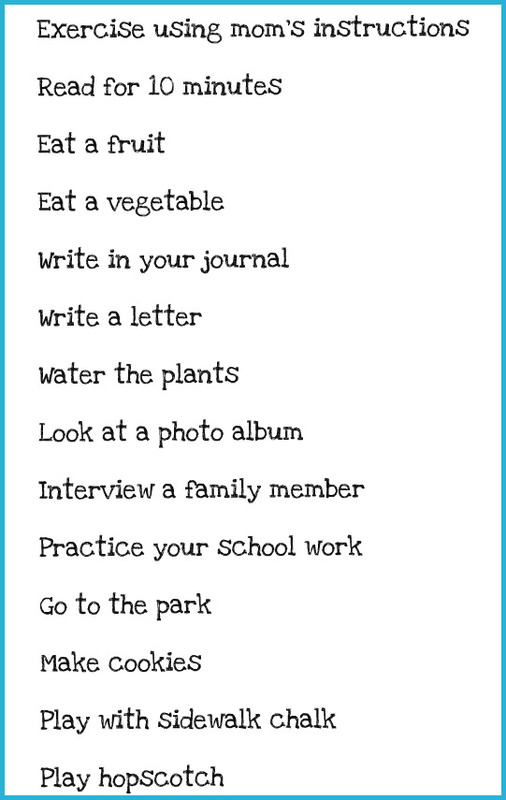 I have always had each kid make a "summer list", a list of things they would like to do with their summer. It can be as simple as chewing a whole pack of gum at a time, sleeping on the tramp or going camping. When they're bored, I make them look at their list and try to cross something off. The best idea! My girls just read the lists and agreed to it. I'll be making it today!!! Awesome idea! 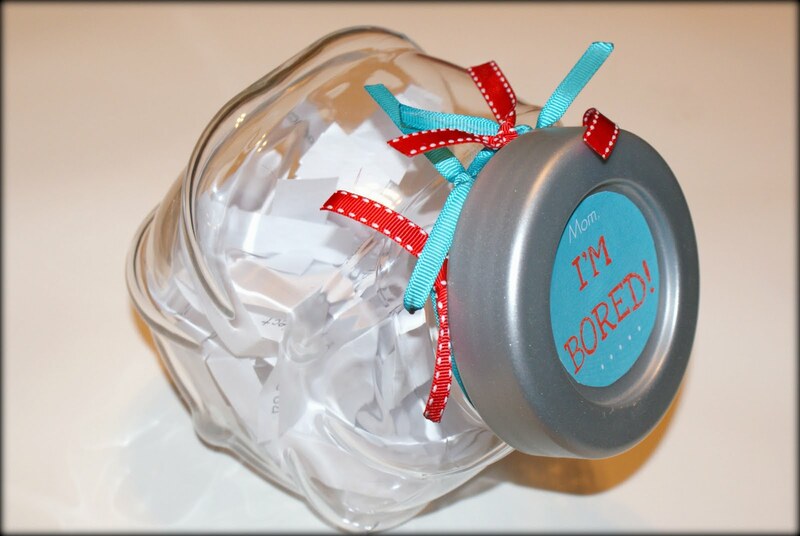 I've got our "I'm bored" list on a chalkboard but this might be more fun...and more surprising! This is absolutely perfect!! I don't know if ours will be exactly like yours or not, but we will have one on the counter by the weekend. GREAT idea!! !